Total Dhamaal official trailer out now! Home Garam News Total Dhamaal official trailer out now! The run for money continues as the makers have unveiled the official trailer of the upcoming laugh riot Total Dhamaal. The multi-starrer flick has promised some more spice and some more drama and off-course loads of laughter in store for the audience. Ajay Devgn, Madhuri Dixit, Arshad Warsi, Jaaved Jaaferi, Anil Kapoor, Riteish Deshmukh and Johnny Lever. 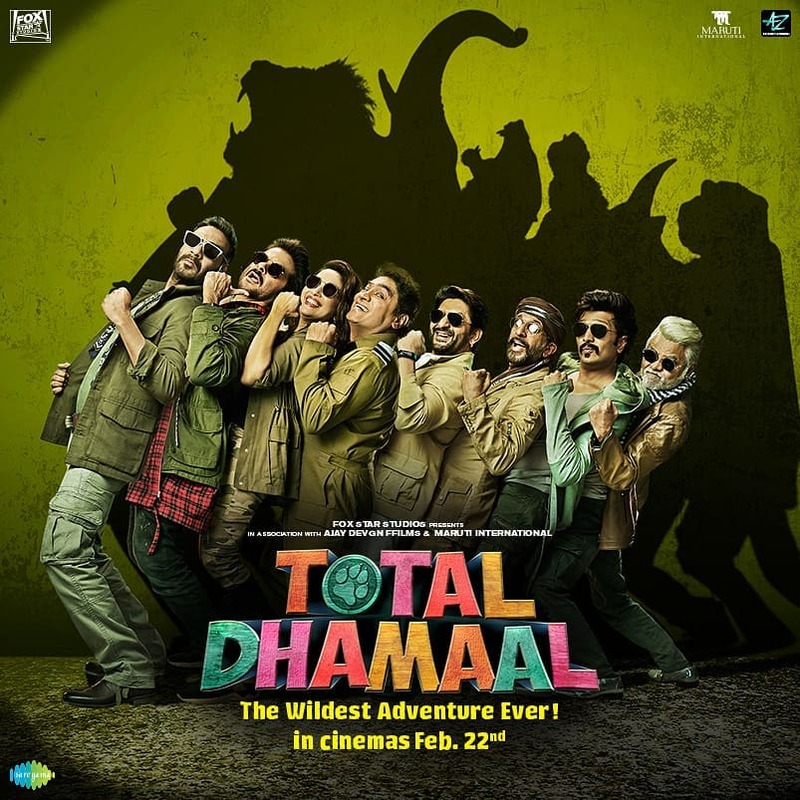 Anil Kapoor too shared the first poster of the film on the social media and wrote, “Witness an adventure like never before… This ride will be full of fun, madness and of course #Total Dhamaal.” Ajay had earlier shared a poster of the film that had featured himself and the Hollywood fame Crystal the Monkey. There are reports that Anil Kapoor and Madhuri will be recreating the popular Dhak Dhak moment in the film. Total Dhamaal is directed by Indra Kumar and will be released in theatres on February 22, 2019.